Dr. Wexler accepts the following list of insurance providers. Select your insurance provider to see more details. I am a pediatric oncologist with a special interest in treating children, adolescents, and young adults with sarcomas of the bone and soft tissues. These are rare tumors — fewer than 2,000 cases are diagnosed in United States each year. I work with a team of oncologists, pediatric and orthopedic surgeons, and radiation therapists to offer unique expertise and treatment options to patients with both newly diagnosed and recurrent sarcomas. I co-directed an international study to evaluate the effectiveness of chemotherapy for children with osteosarcoma, a type of bone cancer. I am the leader of a clinical trial evaluating a novel combination of chemotherapy agents and radiotherapy approaches to treat children with a soft-tissue cancer called rhabdomyosarcoma, particularly tumors with an intermediate or high risk of returning after initial therapy. Some of the chemotherapy drugs that we use to treat children may injure heart tissue. I have been involved in the development and assessment of dexrazoxane, a drug we now routinely use to protect heart tissue in children who are receiving doxorubicin as part of their treatment. To educate the next generation of physicians, I am one of the lead attending physicians on the faculty-fellow team, which is designed to work closely with young doctors who are training in this subspecialty to help them learn how best to identify the individual needs of patients and manage the care of children with malignancies. Nationally, I have served on the National Comprehensive Cancer Network committee on fatigue in people with cancer. I also serve on Memorial Sloan Kettering’s fertility preservation committee to develop standards to refer patients for counseling and options. My colleagues and I form a team of individuals who extend the same family-centered, holistic philosophy of care to our young adult and adult patients as we do with our younger pediatric patients. We try to connect with our patients and their families on a very personal level. Many of us maintain relationships with our patients outside the hospital and find great satisfaction in attending major life milestones such as weddings, births, Bar Mitzvahs, and confirmations. Each year, I volunteer my time to work with children at Camp Simcha, a summer camp for children battling cancer. I find it incredibly rewarding to care for children — they are courageous and indomitable. They just want to finish treatment and go back to being kids who play and go to school. I am amazed at the strength of their families during this time as well, and I am as devoted to helping their children get better as if they were my own. 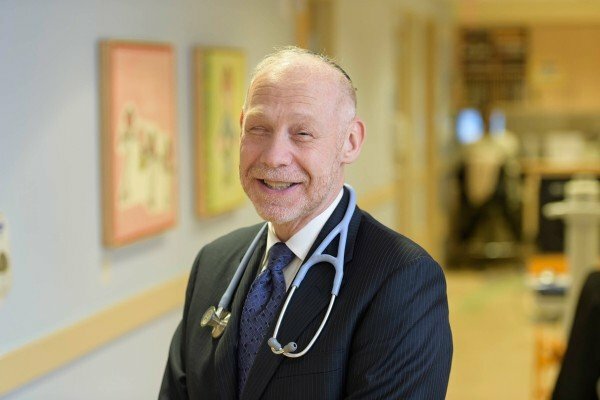 Visit PubMed for a full listing of Dr. Wexler’s journal articles. Pubmed is an online index of research papers and other articles from the US National Library of Medicine and the National Institutes of Health.